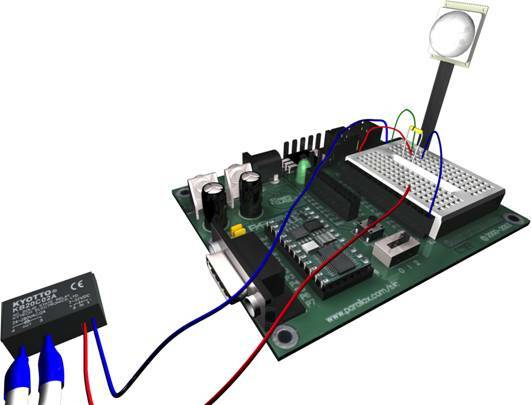 In this activity you will be using the PIR to activate the lamp. Wire the SSR on the board and leave the PIR sensor where it is. Remember the PIR can see the lamp, so place the bulb away from sensing area of the PIR so the bulb will not accidentally activate the lamp. In the next program you will be using the PIR to activate the lamp. This is important, as it is the basis for sensing something from a distance and having something activated at a distance. OUTPUT 4 ‘Make pin 4 an output so you can switch the solid state relay on and off. 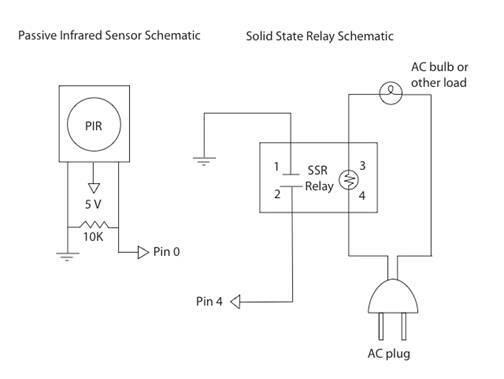 Relay: 'this subroutine turns relay on.